The Entrecarder: Make the Dogs Talk! Mapiles.com is holding a contest where you can help the dogs talk. 1) You must be an Entrecard Member. 2) Drop a card on my Entrecard Widget. 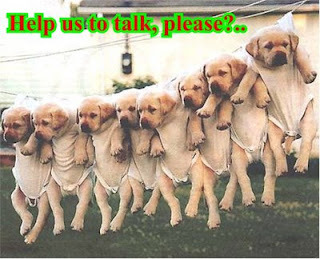 3) Make the Dogs Talk by putting the funniest caption you could ever think in the comments box. 4) Nothing more. Yes, it’s how simple it is. This contest runs for one week and three winners will be declared on February 29, 2008.